S/Sgt. Herbert E. Phillips, son of Mrs. Hattie Phillips, attended school in Frederick; husband of the former Juanita Dill. 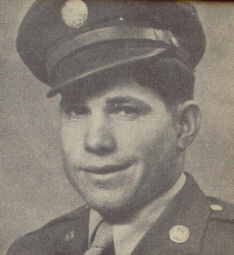 Entered the Army in May, 1943, trained in March Field, Cal. ; served in England, France, Belgium, Luxembourg, Germany; is now discharged. Awarded Good Conduct Medal, EAME Ribbon with four Battle Stars, Cert. of Merit.